As part of the AQA Unit Award Scheme, this half-term a small group of students will be visiting a number of public services. They will be finding out about our NHS and how it works, as well as looking at our local services. Two weeks ago the students visited Warrington General Hospital and will soon be investigating both the paramedics and Warrington Fire Station. Last week we met with the local community liaison officer Phil Hilton. He gave the students a guided tour of Stockton Heath Police Station and its history. 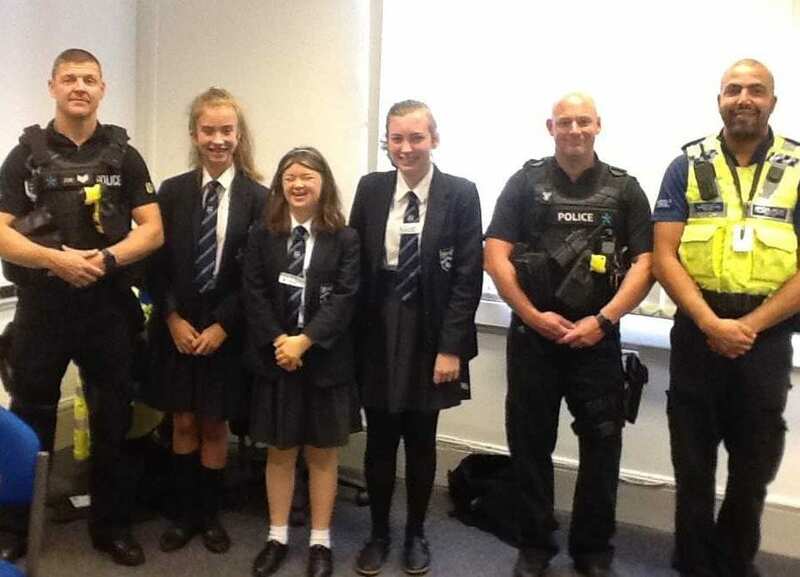 They were lucky enough to meet with two armed forces officers who gave them a talk on the equipment they use and their roles within the police force. It was a fantastic opportunity and the students involved look forward to sharing their findings with others in the future.